Animal rights activists often oppose animal welfare reforms on the grounds that they make animal production more efficient. Rutgers professor Gary Francione argues this case convincingly, insisting that some "[w]elfare reforms make animal exploitation more profitable by eliminating practices that are economically vulnerable." He adds, "For the most part, those changes would happen anyway and in the absence of animal welfare campaigns precisely because they do rectify inefficiencies in the production process." The point is compelling and controversial: welfare reforms–which so many consumers support–can make it easier for industrial agriculture to turn animals into food. Improbably enough, industrial producers of animal products agree. As a justification for what concerned consumers perceive to be inhumane practices, factory farmers routinely insist that if they treated their animals poorly, production would decline. Thus, they conclude that consumers need not worry: the animals are doing just fine. Scott Dewald, Vice-President of the Oklahoma Cattlemen's Association, explains, "Our producers take care of their animals, and we know that an animal that isn't treated well doesn't produce." Sherrie Niekamp, head of animal welfare for the National Pork Board (I know, I know . . . ), echoes this sentiment when she acknowledges that "Animal welfare is . . . a market driven issue." Putting aside the irony that there's common ground between some animal rights advocates and factory farmers, it's worth investigating what the available evidence has to say about this claim. Do improved animal welfare and increased productivity correlate? Is it in the economic interest of factory farmers to improve animal welfare? The answer appears to be "yes," but only to point. Then, without doubt, it becomes "no." Definitively no. Consider the case of laying hens and cages. In 2000, the United Egg Producers established voluntary welfare standards recommending that producers increase cage size from 48 to 76 square inches. Given that a typical bird needs 75 square inches to even stand up, this expansion can hardly be deemed a substantial welfare reform. Nonetheless, let's assume that more space equals less stress, however nominal the reduction. Today, 80 percent of all eggs produced in the United States are under the UEP welfare label. The upshot, it turns out, is that egg productivity per hen increased. Thus it would seem, at first glance, that welfare improvements–at least with respect to eggs–indeed lead to a boost in production. But the matter gets more complicated the more you bore into it. Most notably, while productivity per hen increased, overall productivity dropped. The decline was due to the fact that, with bigger cages, farmers with fixed barn space couldn't cram as many hens into a single shed as they once could. Density of production, as one would suspect, pays. Commenting on this industry-initiated cage expansion, the agricultural economists F. Bailey Norwood and Jayson L. Lusk (whose superb and largely overlooked book Compassion By The Pound summarizes much of the literature on this topic) note how increased space has come at the "expense of farm productivity" and is more a reflection of "a real effort to improve animal welfare, and/or to protect the image of the egg industry" than a quest to boost profits. Industrial operations don't really care about animal welfare, so the latter scenario seems more likely. Producers, aware that welfare reforms are costly, are only going to go far enough to convince welfare-concerned consumers that animals are being treated well. After all, when big producers embrace more serious welfare improvements–such as eliminating cages altogether and raising "cage free" birds–productivity doesn't just dip, it plummets. 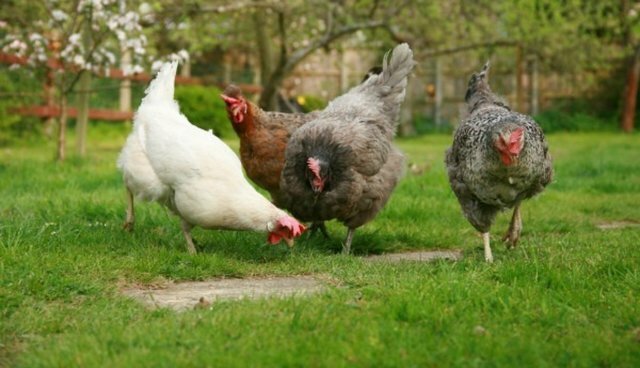 Birds that are uncaged are often densely packed into barns, but they can move more freely and, in some cases, make it outside to really strut around. Movement means that a higher percentage of their feed supports their itinerancy rather than their egg production. Cage free hens, according to Lusk and Norwood, produce fewer eggs than their caged counterparts, die earlier, and have a mortality rate almost three times as high. Say what you will about the welfare benefits of birds not being in a cage, it's anything but more efficient. For proof, just check out the price of your cage free or pastured eggs. The upshot to all this data is sobering for anyone who thinks we can eat our way to humane farming. While the animal rights activists are only partially right when they claim welfare reforms make it cheaper for factory farms to do business, they are fully right when they argue that welfare reforms will never become a viable alternative to the factory model. As long as we consider it culturally acceptable to eat animals, the vast majority of consumers will choose the cheapest option. And that means billions of very sad birds.